Healing Liver Cirrhosis: Life without Alcohol....Perspective of the Wife of an Alcoholic... Our Lives are Way Better Now! Thanks to alternative treatments, my husband was off all of his prescription medications a year after being diagnosed with Stage 4 Liver Disease. He was able to run a mile in under nine minutes with no training. A year later, A FibroScan confirmed he no longer has cirrhosis. * His MELD score is a 6, and he's down to Stage 2. He just went on a 12 mile hike. If a doctor tries to tell you cirrhosis can't be reversed, please consider alternative treatments. Some of them really do work! *Results may vary. The information in this site is NOT to be construed as medical advice. Cirrhosis of the liver is a serious condition and if you have it, you should see a doctor. I am not a doctor and am not able to dispense medical advice. My husband saw a doctor (many of them) and they were able to do things for him that I could not. However, they were unable to recommend alternative treatments, and in MY OPINION they were VERY beneficial to my husband, so I am providing some of that information here. My husband and I tried all of these alternative therapies at our own risk, and if you try them you will be doing the same. At your own risk. No promises are made in this blog. I am not saying there is a cure for cirrhosis or any other condition. However, I believe most people can get well, like my husband did. My husband is alive, happy, productive, functional and has his energy back. He no longer worries about having to go on disability or getting a $577,000 liver transplant. Cirrhosis is a serious condition. He is currently in the fibrosis stage (Stage 2 liver disease), which is still serious. I cannot guarantee you will have the same results. I just want you to know about what worked well for my husband. I hope you will share what you learned with others, and share your story with us as well. This blog was made for YOU! Thanks for visiting! Life without Alcohol....Perspective of the Wife of an Alcoholic... Our Lives are Way Better Now! I just wanted to do a post about what it's like to give up alcohol (at least, 95% of it), for the sake of supporting your partner who is a sober alcoholic. I may have an occasional glass of wine at a party, or a beer at our occasional happy hour after work (which happens about once every 2 months), but that's about it. We no longer have beer in our home, and we're both better off this way. I never really thought of myself as a "drinker"... I'd have an occasional beer when I'd go out with Jake on Friday or Saturday nights, maybe even a pint or two... but I didn't really consider it to be a big deal. But it's only in retrospect, now, that I realize how much alcohol I was accustomed to drinking. Looking back at it, it's a lot more than I realized it was. Yeah maybe I'd have a pint or two a week. It doesn't seem like a lot but... I was drinking somewhere between 70 and 100 beers a year! Not exactly a great thing for your liver. A friend of mine often talks about her mother who is 98 years old. She's sharp as a tack and has never touched alcohol in her life. Hmmm... there may be something to be said for that! Last night, Jake and I went out for dinner and had fresh warm chips, guacamole and salsa, and two nonalcoholic drinks. He had a coke, and I had a super delicious blended, salted mango margarita. We had a great time, got to enjoy our conversations with each other, had delicious food, and our bill came out to less than 15 bucks! The virgin margarata was just 5 bucks, whereas a "regular" one would have been $8. I said, sheesh, if I had known how much money we could save, I would have started ordering these virgin margaritas a long time ago! I loved the fact that I felt really good (and alert) after that margarita. I didn't feel sleepy from the alcohol, and it was really nice to know we didn't have to spend ONE SECOND worrying about being pulled over by a cop, knowing we were riding right on the questionable edge of a breathalyzer test. There have been several times, in the last month, when I've been a little stressed out. In the past, the stress would make me crave a beer. In fact, I went through a phase, about 5 months after Jake's hospitalization, where I was drinking a lot more than usual. I guess I felt sneaky and guilty about drinking without him, and somehow that made me want to do it more. But over time, those urges have subsided. The other day I had an unusually stressful experience at work, and ended up getting myself a bottled beer... thinking I'd want to drink it when I got home. But when I got home, I found that I had no desire to crack it open. It's still sitting on the floor while I write. What I really wanted was something cold and refreshing and sweet, like lemonade. I wanted to feel "UP," not DOWN. Crystal Light currently makes some delicious drinks with caffeine in it, and lately I would much rather have that, than alcohol. That is not to say that I will never want to drink that beer, but... I am really proud of myself for not drinking it (though it wasn't that hard, since I really just didn't crave it all that much). Either way, I'm glad that this is helping me to be a more supportive partner to my husband. Jake has a very good friend, Joe, who also joined AA recently. His live-in girlfriend is very NON supportive of him, and he's fallen off the wagon in a BIG way, 3 times in the last few years. I can't help wondering if things could be different if she was more supportive. His girlfriend basically looks at it like, "You did this to yourself, I'm going to still go out and party as much as I want and drink as much as I want, and too bad for YOU if you can't have any alcohol." On one hand, I feel like she has every right to feel like that. It made me kind of mad, at times, that it seemed like Jake put both of us into this position. Why should I have to give up alcohol or feel guilty drinking it, when he's the one who screwed up and lost control?? For the record I should say that Jake has said, many times, that he does not expect me to give up alcohol. But he has also said that it's easier to give up alcohol when you're living with someone who doesn't drink much (he said it was hard to give it up during his last marriage because his wife and her whole family drink a LOT). So I want to try to be as supportive as I can. It's not like I'm giving up something that's going to have any kind of a negative impact on my life! Jake's ex wife drinks between 5-7 bottles of wine a week. We have a pretty good relationship and see each other fairly often because she and Jake share kids (and she lives fairly close to us). I realize she has a lot of stress in her life, but because of alcohol abuse, she has lost jobs, totaled a car, fallen and hit her head so bad she had to go to the emergency room, and a few months ago, she called Jake to ask her to help guide her home over the phone, because she was so plastered, she couldn't figure out where she was (even though she was just a few blocks from the place she's lived for the last 15 years). Sadly, I think she believes that because Jake is the one who wound up in the hospital first, then he is the one with the problem, not her! But her drunkenness has made her children lose a lot of respect for her, which makes her feel unappreciated, which only seems to fuel the drinking cycle. Her breath has gotten so bad, due to the excessive alcohol consumption (it smells like her internal organs are starting to go) that I literally have to back up when she speaks to me. I am hopeful that she will eventually seek help and turn things around. I wish she could see that a life without alcohol is actually pretty empowering. I like to remind myself that there are a lot of people out there who are able to live happy lives without alcohol. You can see a list of celebrities who don't drink, HERE. “I don’t drink. I’ve never tried a drug," she told Allure. "It's just something that I genuinely don't have a desire for." I am proud of my not drinking in the same way that I am proud of the fact that I gave up cigarettes over 10 years ago. Now, when I see people smoking, they just kind of look lame and weak. Yesterday Jake and I went to go see some live music and there were sooo may inebriated people around, who just looked stupid to both of us. 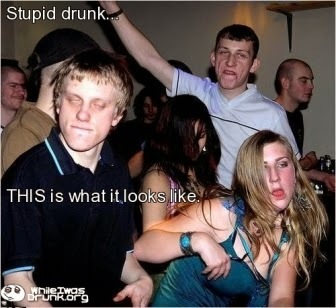 Funny how total sobriety really opens your eyes to how dumb people look when they're drunk! I'm not saying I am never going to have another drink in my lifetime, but I am very grateful to the powers that be, that I don't usually feel like I need a drink. 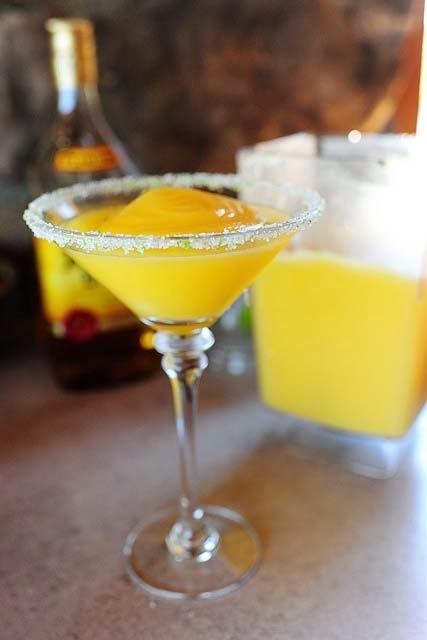 I'm grateful that my local neighborhood bar knows how to make a kickass virgin mango margarita!!! they are giving you every one of the medications and treatments they are giving you. and there are many good options out there that can help. Your health is ultimately your own responsibility, above anyone else's. If you have something to share, please feel free to leave a comment on this blog. A Welcome Message from Me to You! See My Husband's Fibroscan Results! Can Scar Tissue Be Reversed? My Opinion: ABSOLUTELY!!! In case you weren't warned... as we weren't! IF YOU DON'T STOP DRINKING ALCOHOL, THIS COULD HAPPEN TO YOU.... READ THIS CAUTIONARY TALE!!! This gal's MELD score went down to 6 (from 15) in less than 2 Months! The Other Machine My Husband Loves! BEWARE if any Doctor Recommends SURGERY while you have Stage 4 Cirrhosis!!! When BILIRUBIN is HIGH - What Can You Do? How To Heal from Acid Reflux / Heartburn / GERD, when you have Cirrhosis of the Liver - or even if you don't! The Dangers of PROTON PUMP INHIBITORS - What you NEED TO KNOW! Check out Jake's Feet (Edema gone) in this pic! Inspirational Stories from People who Don't Drink! 2014 LiverLife . Simple theme. Theme images by konradlew. Powered by Blogger.